Does the Helaer Master always defeat you? How does the eletric shock work? What is the purpose of the smithy? Feel free to share your own tips in the comments! Your wizard becomes more powerful with every level, but that’s not the only way to make your character stronger. Also, you can build a Magic training camp and a Physical resistance camp. You can improve your magic skills and physical resistance there. 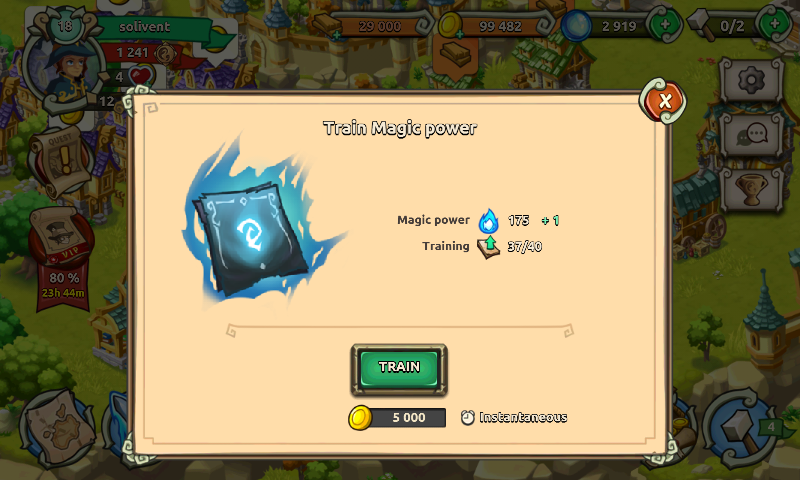 Do not forget to upgrade these buildings, and train your wizard there! One of the most important defensives spells if the Mirror Spell. It throws any magic attack back at the caster. It uses up a lot of mana, but it is worht it. You have to cast it a just before your enemy sends you a magic attack. Every item you get can be improved in the Smithy. 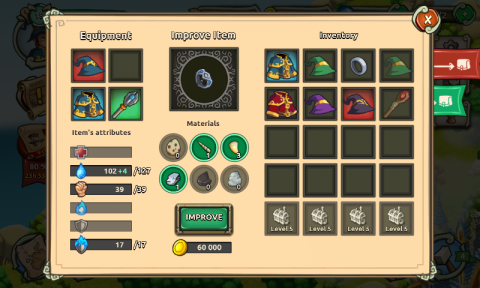 during your adventures you will find materials that you can use to improve your items. Each item can be improved up to some level. At some point, the item cannot be improved anymore. Then it is time to evolve it. Let’s imagine you get a Rare item in a battle. you can improve it until it reaches its maximum attributes. After that, you can evolve it and transform it in an Epic item. This spell inflicts damage on various enemies. At first, it attacks two enemies, but it can attack up to three enemies. It is a good idea to updgrade it as soon as possible. In some battles, you will see a book on the top right of the screen. If you tap on it, you will see a tip about your enemies. Also, if you tap on yout enemy, you will see an info bubble. There you can see a detailed description of that enemy, the attacks it can do, and some tips about how to defeat it. 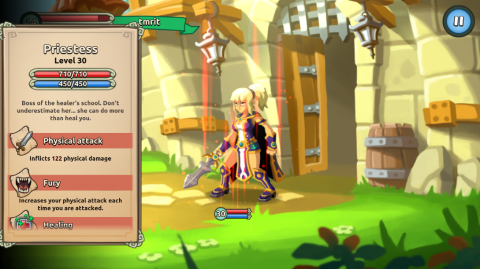 3 Responses to "5 Tips For Schools of Magic"
Priestess, in game info ?! I can’t beat her because she kills me in 2 hits. Fix the game. If she attacks for 122 then why she attacking for 700??? She gets more powerful with each of your attacks. Do not use Incineration, because it attacks here a lot os times and that makes her very strong. I’m having a very hard time beating the black unicorns. Any suggestions? ⇐ Android Wizards! Schools of Magic Arrives to Google Play!